" I leave you my portrait so that you will have my presence all the days and nights that I am away from you." People have facets to their personalities that construct them as individuals. These facets constantly evolve with time. Just as people change as they encounter new experiences, my paintings change as time elapses. Currently, my paintings are about experimenting with paint itself. 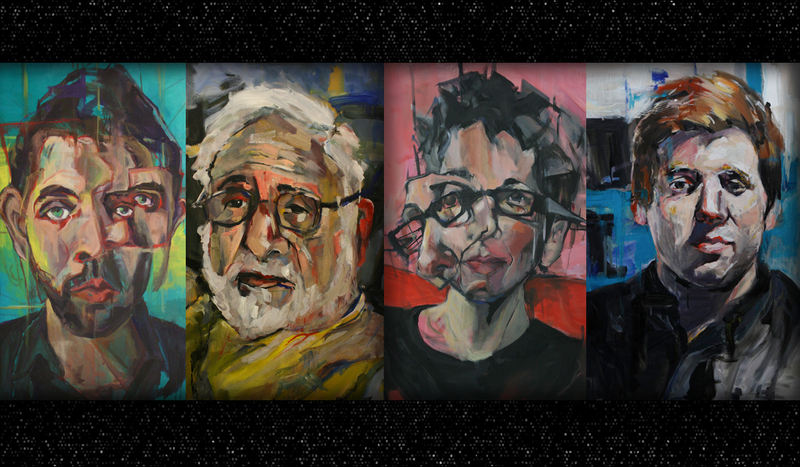 I seek to capture the way people change, both physically and emotionally, through the process of painting. Alison Eagle is a visual artist currently based in Somerville. She graduated from Skidmore College in 2014, where she earned her B.S. in Studio Art. Alison began exhibiting her works in group shows during college, and has won several awards in juried exhibitions. She currently works as a graphic designer at a marketing agency, and paints nightly in her home studio.